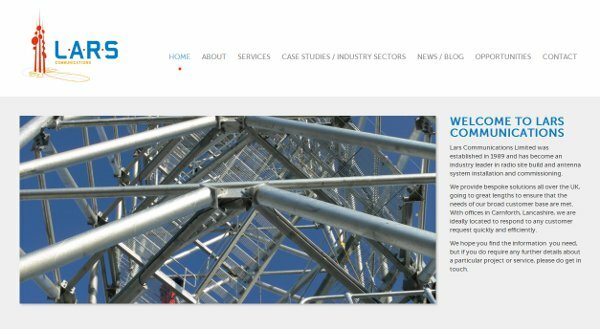 LARS Communications Limited, an industry leader in radio site build and antenna system installation, is pleased to announce the launch of its brand new website – www.lars.co.uk. The new website has been designed to be easily navigable, letting visitors find the information they need, while the clean user interface allows visitors to get as in-depth as they choose. As the site develops it will boast extensive content, including a series of sector specific case studies, showcasing recent jobs completed by LARS, as well as an area highlighting all current vacancies within the company. The new site has been developed to work across a number of platforms, including tablets and smartphones, such as the iPad and the iPhone.